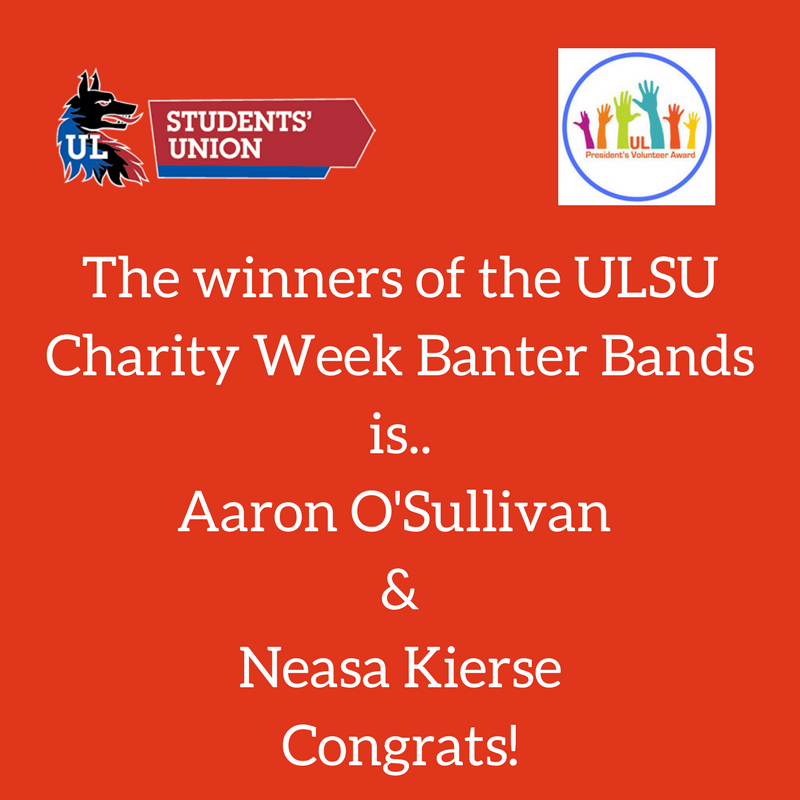 The UL PVA Student Volunteer Facebook Page held a competition for one week, for two lucky UL Students to be in for the chance of winning a banter band each for ULSU's Charity Week events, (worth €25 each). We let the competition up over the course of the week and picked two winners at random. The two who were picked are Neasa Kierse and Aaron O'Sullivan. Well done to both and enjoy ULSU Charity Week!